Who doesn’t love a good cookbook? Big and bold with page after page of beautifully plated food, they’re a feast for the eyes of the food-obsessed. Last time I checked, however, ‘oohing and aahing’ over a photograph of Gelato Messina’s rum baba gelato or Annabel Langbein’s slow-roast lamb with herb crust does not constitute as cooking, and a cookbook that doesn’t inspire a meal belongs on a coffee table, not the kitchen bench. Most titles I own have a handful of bookmarked recipes. For instance, I’ll always refer to Les Huynh’s Takeaway, whenever I’m making wontons. I’ve even made Huynh’s ‘Chinese noodles with sesame dressing’ and ‘Central Vietnam noodles’ once or twice. But these are only 3 of 72 recipes, less than 5% of the book, which makes the book over 95% irrelevant. Even my so-called tome, The Thrifty Kitchen by Suzanne and Kate Gibbs, has only had a third of its recipes attempted. Your cookbook will include family favourite recipes, recipes you’ve created and adjusted yourself, recipes passed down from parents and grandparents, recipes you will pass down to your children and grandchildren. I’m more interested in the practical. 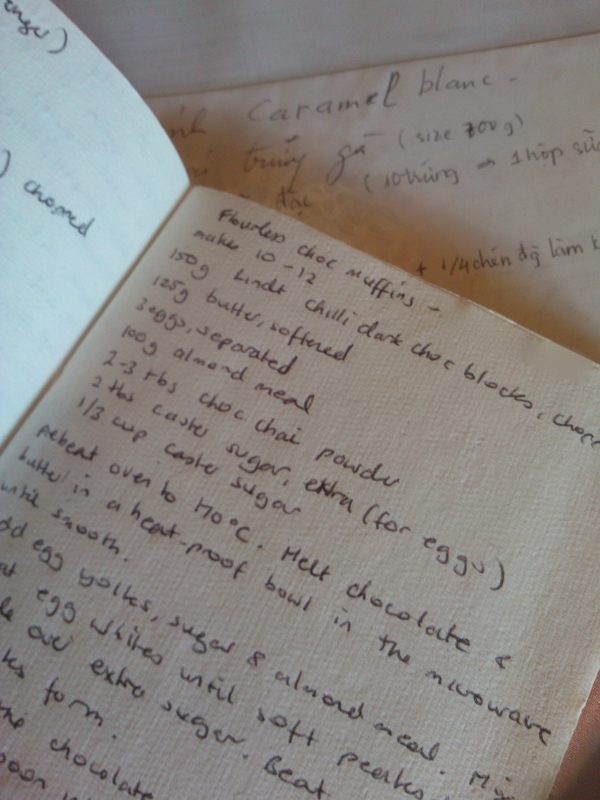 Every recipe within my 2 personal cookbooks have been tried and tested (and tasted) by the Mustbethrifty household. In other words, they are 100% functional. They’re not the most pretty to look at, but I think I have enough coffee table books at the moment. 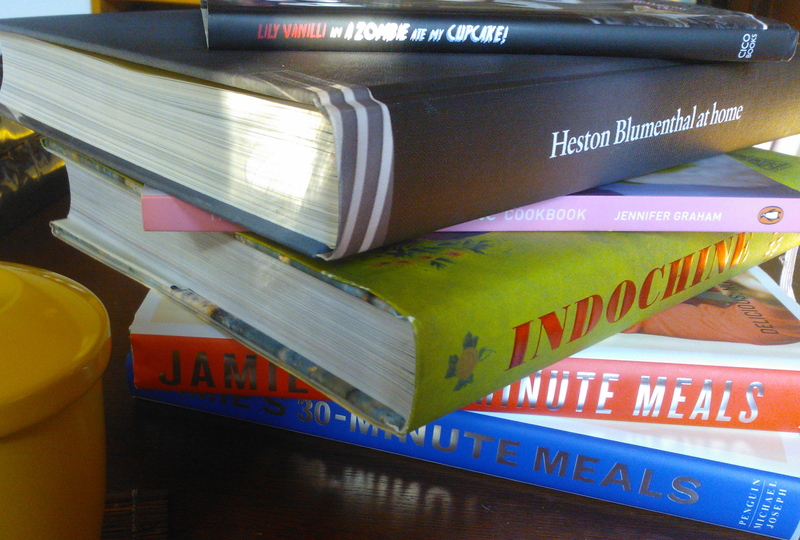 Coffee-table quality cookbooks. The top one, ‘A Zombie Ate My Cupcake!’ is particularly awesome to flip through. I have not baked any zombiefied cupcakes as yet and do not plan to in the near future.